So you need to know how to improve your fitness level to enhance your grappling game? You ask which muscles you need to develop in order to maximize your driving, sweeping, positioning, gripping, pushing, and pulling? The answer is ALL OF YOUR MUSCLES! more over you need full body muscle stamina and proper mobility and balance. Oh and did I mention flexibility? Sounds like a daunting task you say? You would be right IF you were using traditional gym and body building methods (weight machines, isolation exercises, treadmills). Fortunately there is a better way; Unconventional Training Methods or UTMs. UTMs focus on full body functional exercises using a wide variety of “alternative” training equipment such as kettle bells, sandbags, rowers, sledgehammers, industrial tires, chains, sled, and more! UTMs are highly effective in giving you the most bang for your buck! Among the many available UTM based programs in practice is CrossFit. CrossFit king of the jungle in regards to UTMs; having a world wide following, Reebok? sponsorship, and even its own arena of competition known as the CrossFit Games! 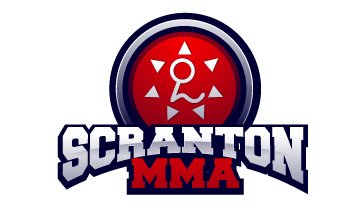 CrossFit affiliates are scattered nationwide; Keystone CrossFit is available right here at Scranton MMA! Why wait another day? Take your training to the next level! Check out the video below of a Unconventional Training Method, the double kettlebell swing. The DKS is a double ballistics exercise that develops your core and grip strength, enhances your conditioning, and builds explosiveness in your hips and core! Learn even more UTM exercises by checking out our platinum member area for exclusive instructional videos!